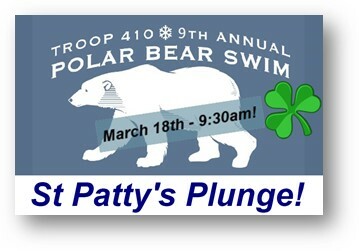 The Troop 410 Annual Polar Bear St Patty’s Plunge Swim Fundraiser is Sunday, March 18th at 9:30 AM – See attached flier and post and share please! 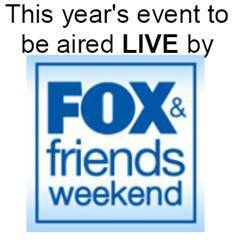 Troop 410 Scouts and Leaders ( and Parents welcome) will be doing our prep and setup on Saturday afternoon. More to come. Please keep your schedules open. Please remind your Scouts to get their sponsorships completed. Remember we are asking that all Scouts get as many $5 sponsors for their swim. We have a prize for the Scout that fundraises the most!